The Staircase above has 2 bespoke bullnose entry steps, the radius on these steps is far greater than the radius on the standard bullnose treads but this just shows you some of the bespoke options available. If you are ordering a new staircase from us then we have unlimited options to the detail and size you can have as the bottom step details on your new staircase. 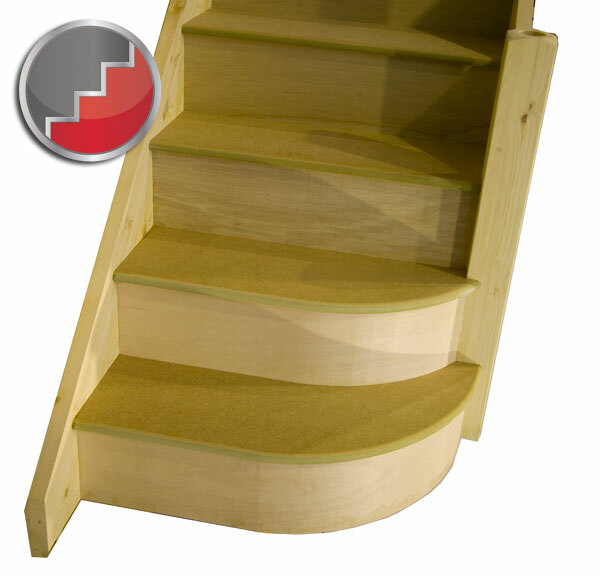 If you are looking for just the step then we have a limited number of standard treads available to order online including Bullnose and Curtail Steps in MDF , Pine and Oak. Home | Stairs | Stairparts | Terminology | Workshop |Staircase Plans | Jobs at Stairplan | .Visit the Showroom.